While other shopping cart services limit who you can use as a Payment Gateway, CommuniCart provides an open experience! 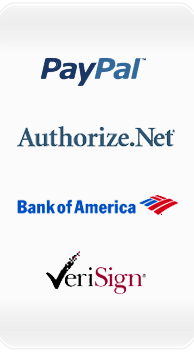 Realtime credit card, electronic check and PayPal* payment acceptance available through the following processors. *PayPal payments only available through the PayPal WebMerchantsPro Service.